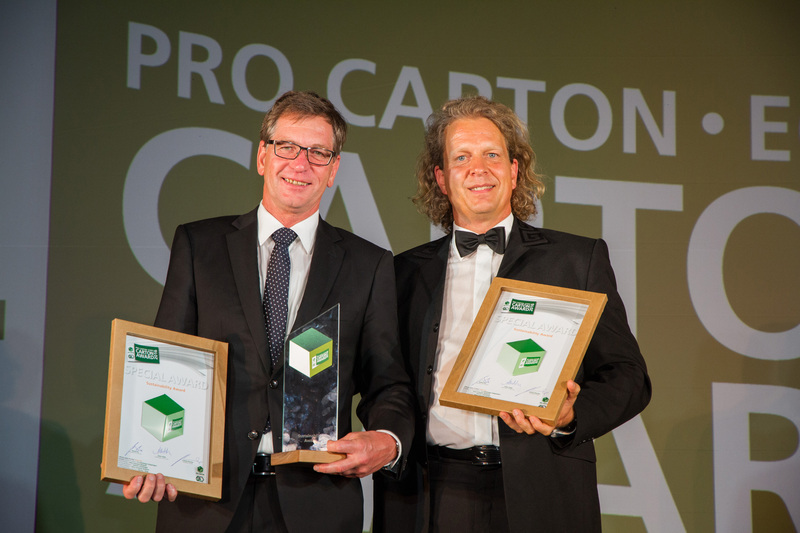 The 20th Pro Carton ECMA Award trumped with a new record: more participants, from more countries, and even more entries. 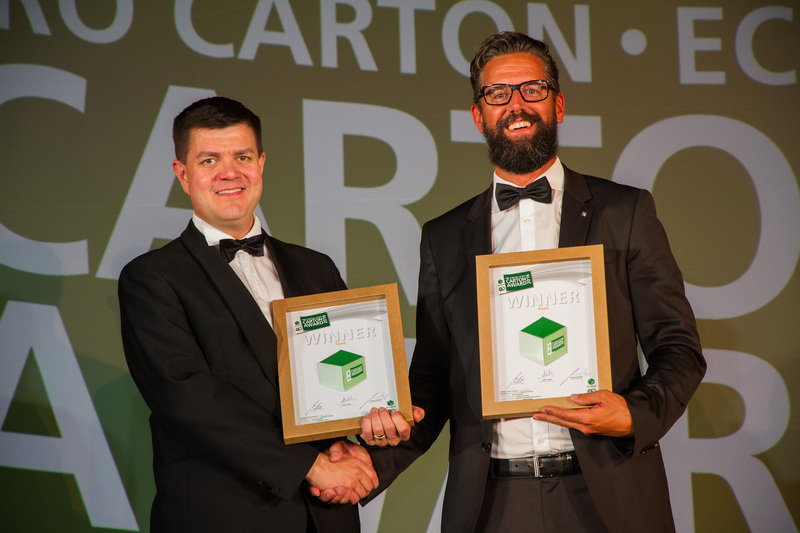 On 15th September 2016 the prizes were presented in festive surroundings at the ECMA Congress in Cannes – to an audience of leading personalities from the European cartonboard and carton industry. 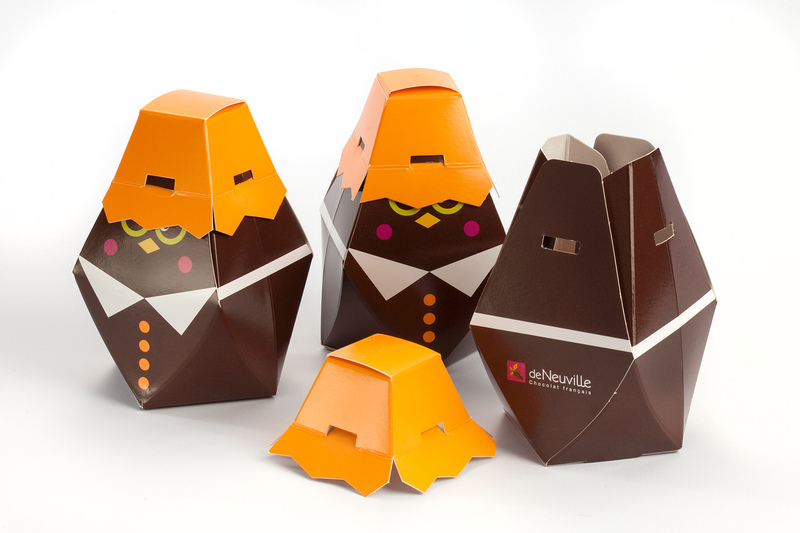 are a “delight” at the Point of Sale: not only through “loud” colours, but increasingly through their structural design. 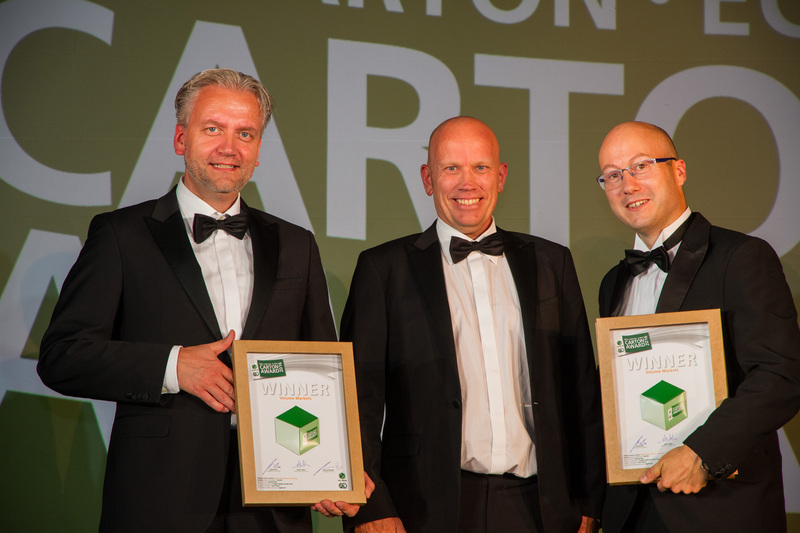 The finalists had already been announced in August. 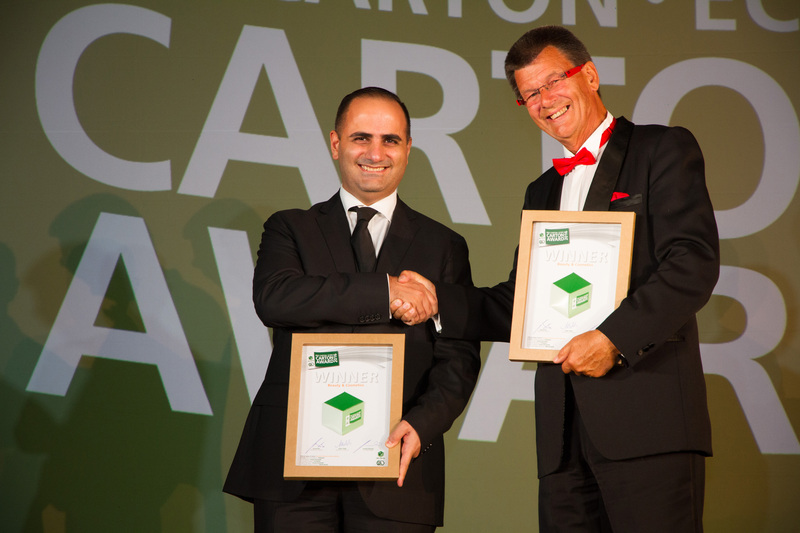 The awards were divided into seven categories as well as three major awards: “Carton of the Year” , “Most Innovative” and “Sustainability” . 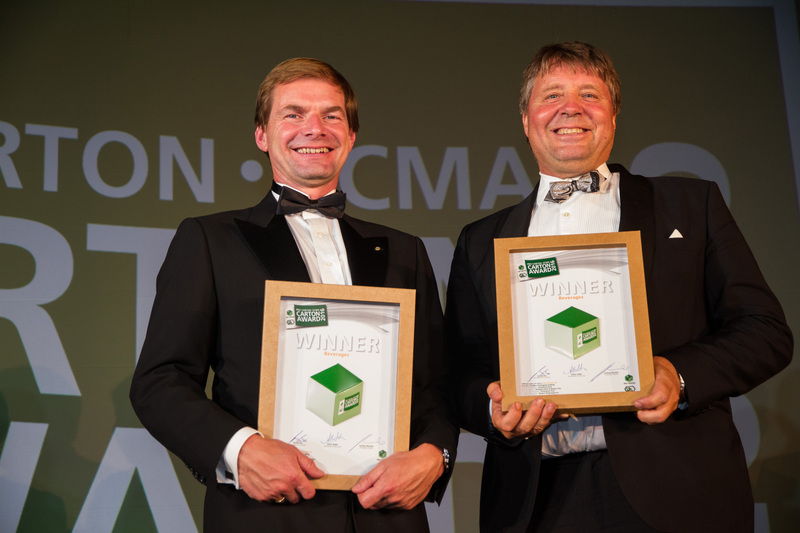 The certificates and trophies were presented by Roland Rex, Pro Carton President, and Dr. Andreas Blaschke, ECMA President. 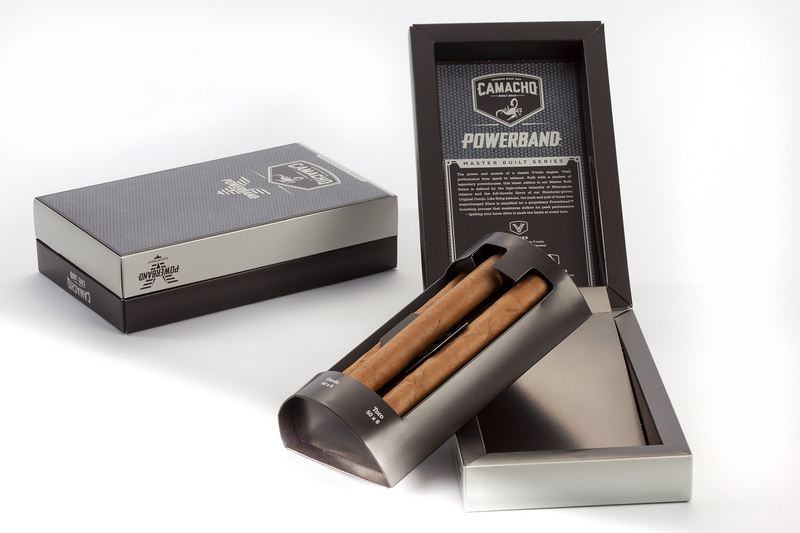 “Carton of the Year” went to the e-cigarette packaging: “My. 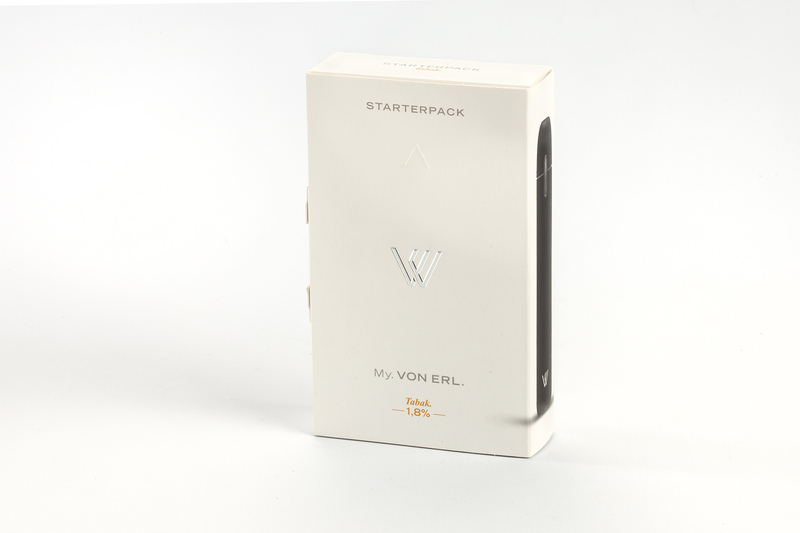 Von Erl”: extremely elegant, My.Von Erl creates an absolute wow effect when opened. 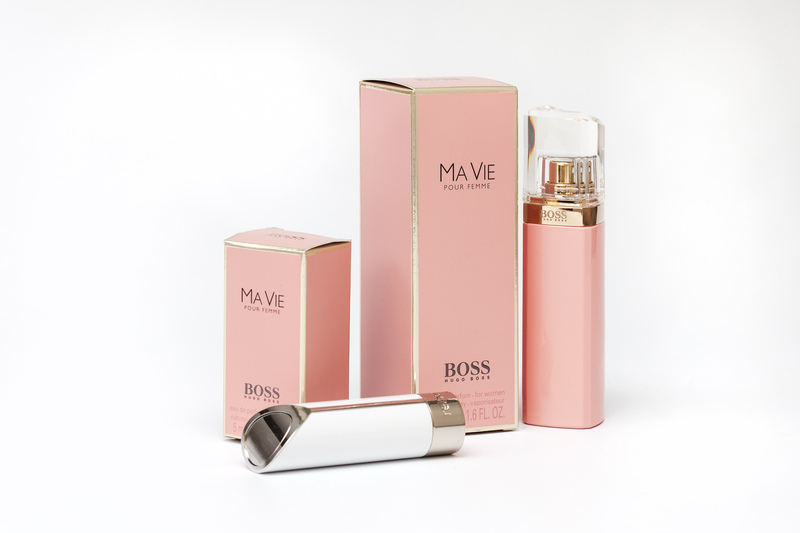 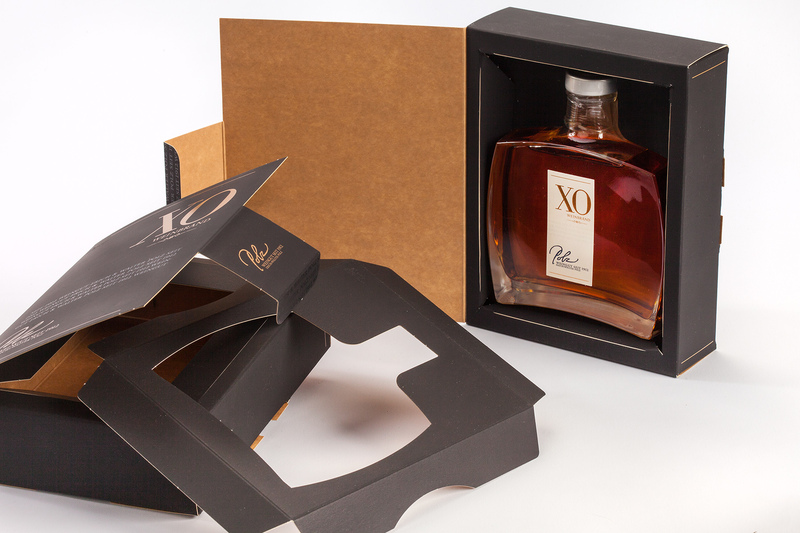 Without using any other materials than cartonboard, the packaging embraces all the elements and accessories. 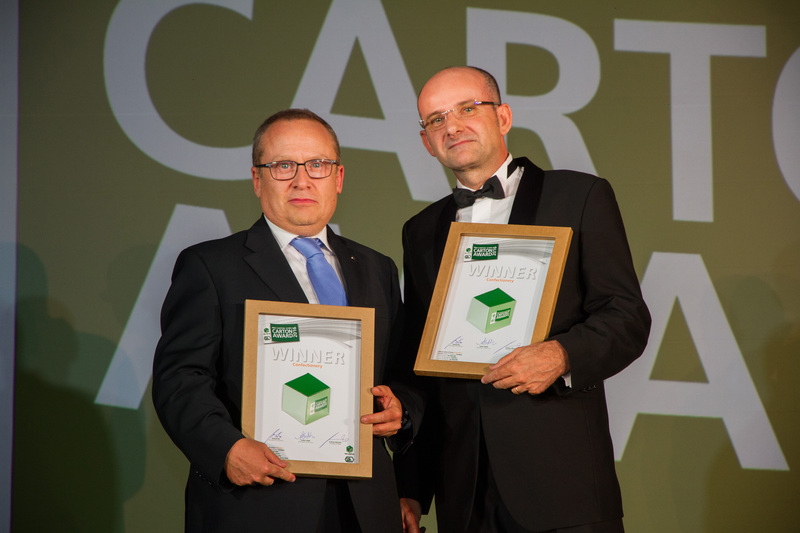 The winner in the “Sustainability” category was the “Beam-Box” by Varta: highly attractive, sustainable, innovative and practical in use – this triangular shaped carton simply has everything good packaging needs. 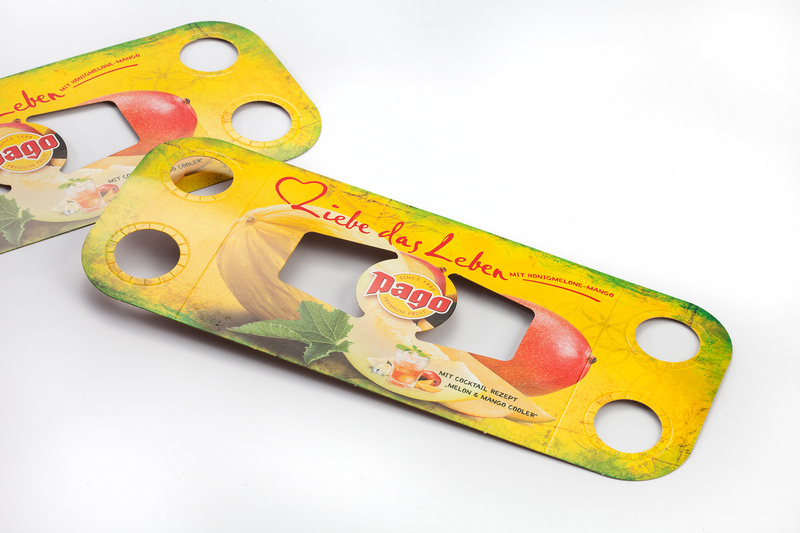 The “Most Innovative” Award went to the striking yet simple solution “Pago Fruit Juice: Honeydew-Mango Promotion” : the highly creative execution allows an additional bottle to be added to the packaging, either as a bonus or to introduce a new flavour. 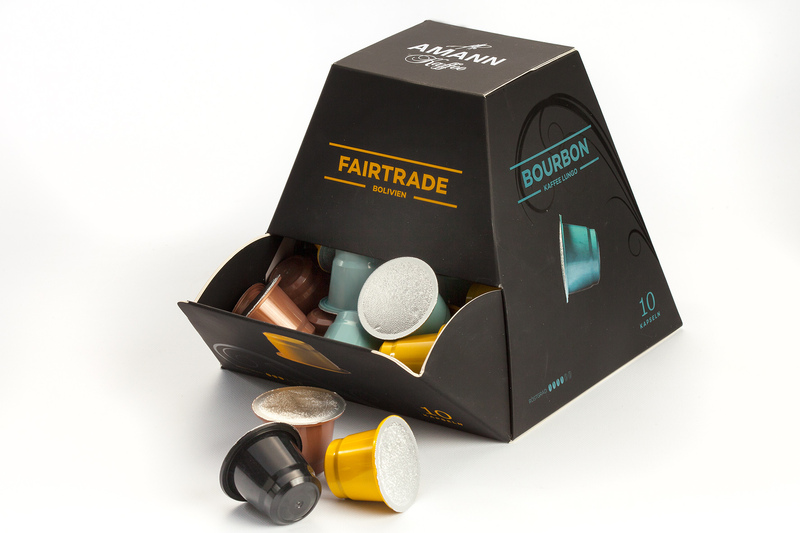 The judges from all sections of the Supply Chain were impressed by the surprising and convincing ideas: Satkar Gidda (SiebertHead, chairman of the jury) was responsible for design and marketing – together with Susanne Lippitsch (SL Design), Wilfried Duivenvoorden (Unilever) for the brands. 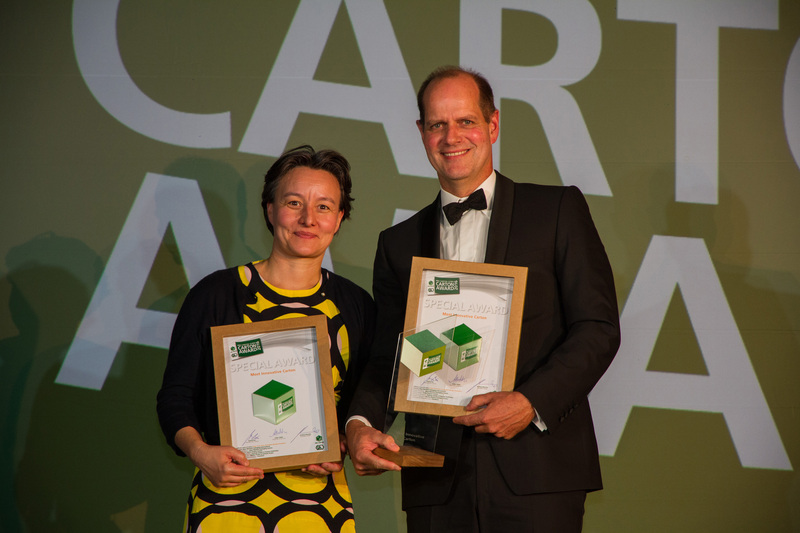 Lotte Krekels (Carrefour) contributed perspectives from the retail trade, Peter Strahlendorf (“New Business” publisher) represented the market and consumers. 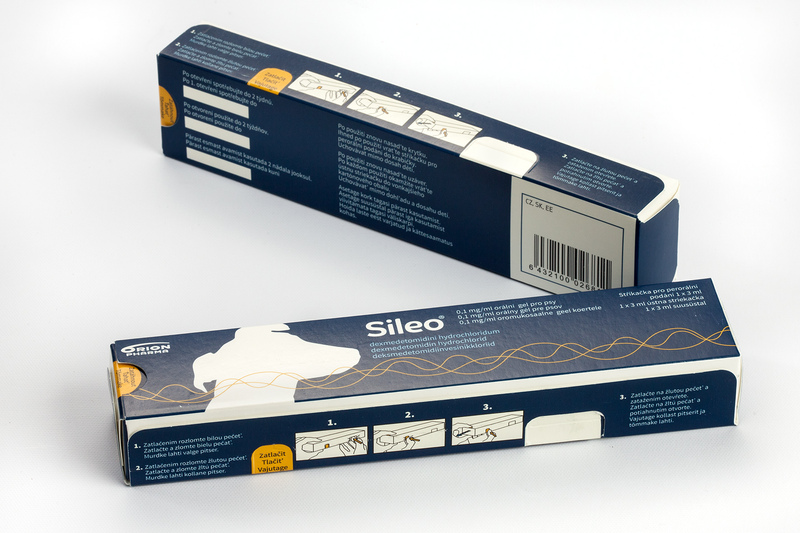 Peter Klein Sprokkelhorst acted as consultant to the jury in terms of the technical finesse of the entries. 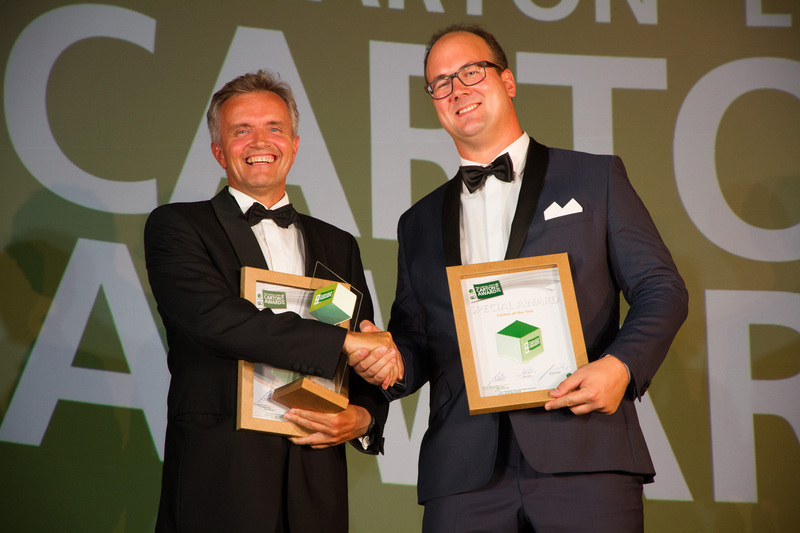 New this year was the presence on the most important social media platforms: sharing, “liking” and commenting on the finalists’ and prize winners’ photos, texts and videos at www.procarton.com. 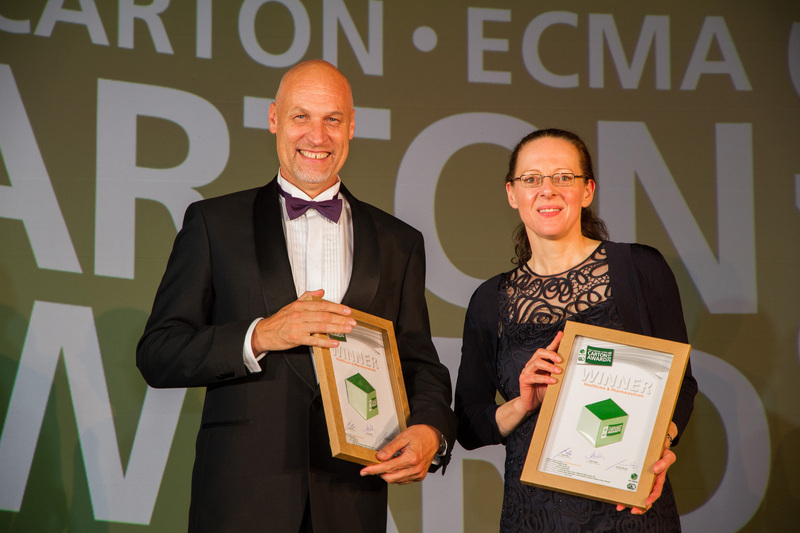 The huge success of the competition will continue in the coming year: as always, details of the award will be announced in February 2017, deadline for entries is 25 May 2017. 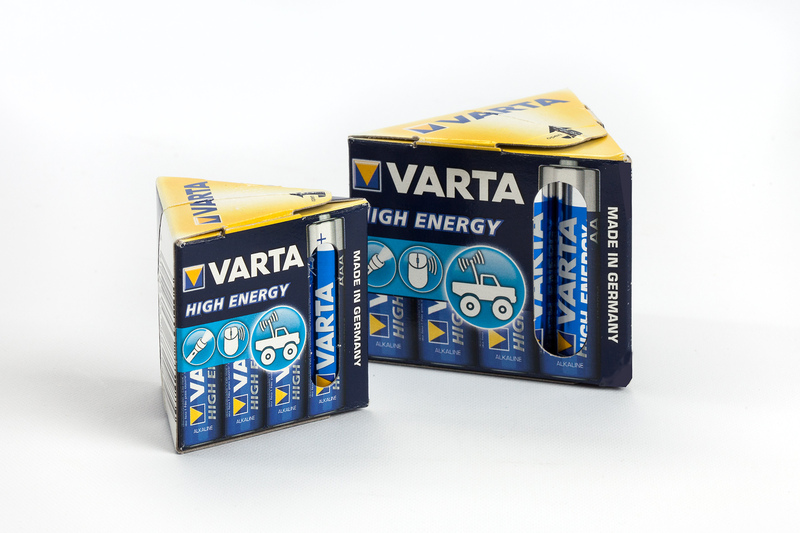 We look forward to large numbers of new ideas! 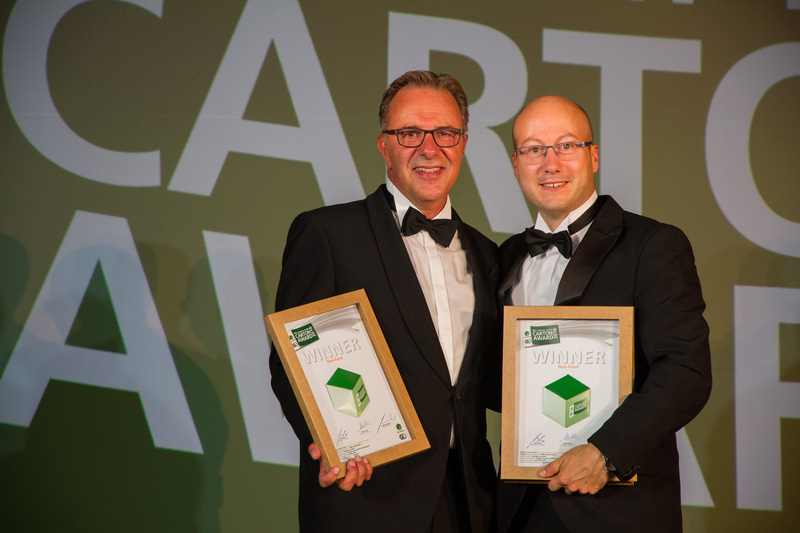 Detailed information together with case studies on the winners and print-ready images as well as videos are available at www.procarton.com.